Police have arrested a man and a woman after a man was attacked with what police believe to be acid on Thursday afternoon (December 22). Police said they were called to Buckingham Road in Worthing at around 2.10pm to reports a man had been attacked. 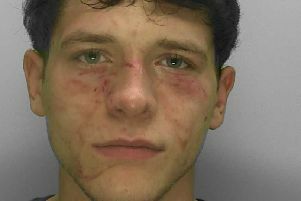 A spokesperson for Sussex Police said: “It is reported the man had a liquid thrown at him, believed to have been acid. He was taken to hospital to be treated. “Two people, a 37-year-old man and a 33-year-old woman both from Worthing, have been arrested on suspicion of wounding with intent. “They have been bailed until January 23 pending further enquiries. A spokesperson for South East Coast Ambulance Service added: “We responded to an incident in Buckingham Road, Worthing at 2.13pm on Thursday with an ambulance.